Along with a love of wholesome food, the engaged, adventurous culture in Burlington has fostered a diverse and dynamic music scene. In July alone, our Summervale performers ranged from afro-funk to indie soul to blues to traditional folk. We’re kicking off August with another highly talented afro-funk group Sabouyouma, led by Guinean-born master balafonist Ousmane Camara. 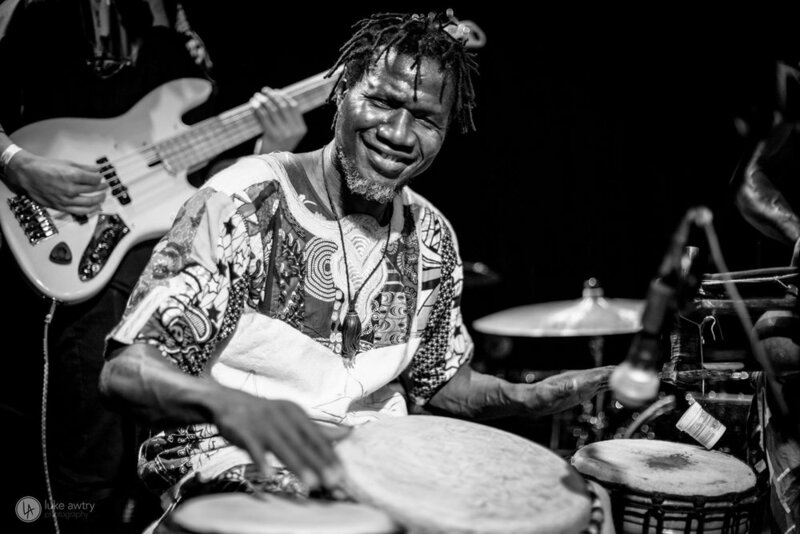 Sabouyouma-- meaning ‘to give thanks’ in the Guinean dialect Maninka-- brings a unique story to Vermont with their central instrument, the balafon. Like the n’goni of the N’goni Dub Trio, the balafon originated in West Africa and carries with it a rich history. It is one of the most common instruments played by griots; a class of travelling poets and musicians who traditionally spread stories and art throughout the kingdom. Along with playing music and entertaining their villages, griots recount events like births, deaths, wars, and draughts as to keep track of regional history. Camara is a sixth generation griot and has been playing music and sustaining griot culture and oral history since he was seven. In a culture where much is left unwritten, artists like Camara provide an essential form of preservation and unification. We look forward to welcoming the deep history and culture of the balafon to the stage this Thursday!